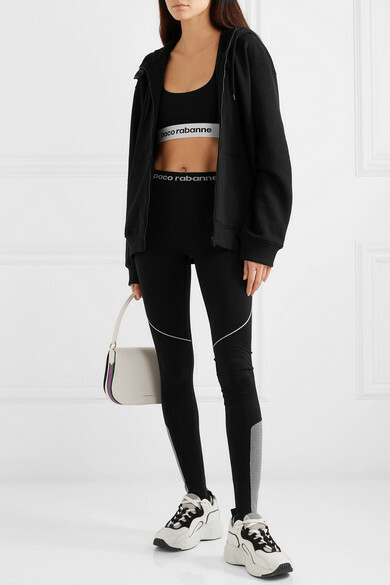 Designed for low to medium-impact workouts like pilates and yoga, Paco Rabanne's sports bra is made from stretch-jersey and has a thick underband for a supportive fit. 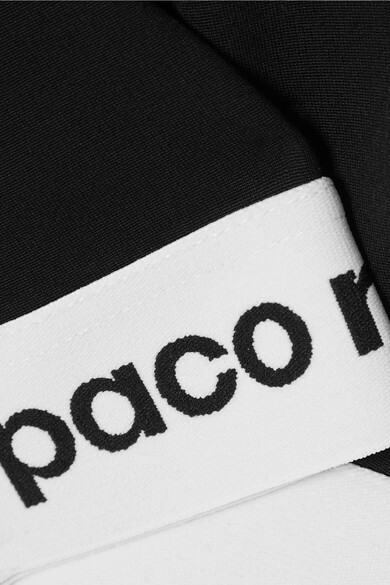 Coordinate the logo-intarsia trim with the matching leggings and hoodie. Shown here with: CALVIN KLEIN 205W39NYC Shoulder bag, Acne Studios Sneakers.